The iPod Touch gets the personal touch! 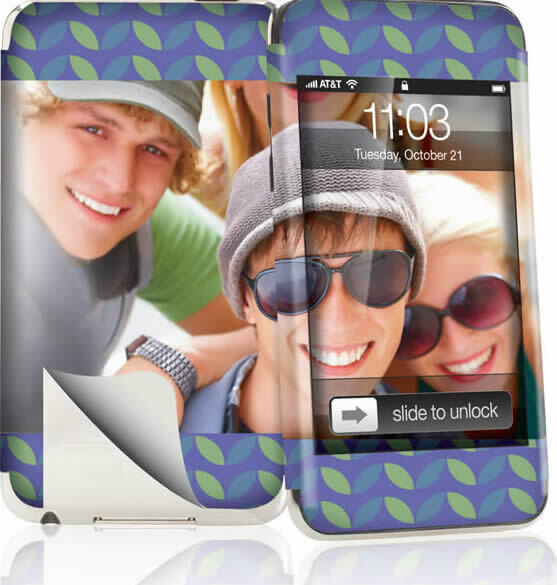 Add a custom cover to your iPod Touch with the personalized, protective iaPeel skin. Now you can show off your player with a wicked design that’s fresh from your imagination, or let the world know your favorite band, sports team, best friend or pet. Fly your school colors, or whatever looks good on you. It’s simple to do, and iaPeel skins make sure your iPod Touch is easily identifiable and kept safe from scratches. It really is the ultimate iPod, so give it the ultimate style – a custom skin from iaPeel.